There are many reasons to love Tucson Botanical Gardens. First, of course, are the many different types of gardens. Second, every spring they have a “Weird Plant Sale” where you can purchase living conversation pieces. Third, TBG is a peaceful place in the midst of a bustling urban environment. Fourth, they have concerts & art shows. Fifth, you can rent the facilities and have a magnificent party there, be it for a wedding, reunion, or whatever special occasion. Go to our Tucson Botanical Gardens to discover reasons #6, #7, & #8. Southern Arizona is one of the most beautiful places for photography on the planet earth. Photographer John Ashley has captured some of the beauty of the Sonoran Desert and nearby environs in this slideshow video, including the migration of the Sandhill Cranes just south of Willcox. 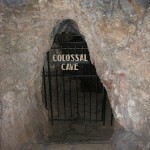 Video presentation: Interesting history and description of the Caves, Colossal Caves offer several different tours from easy to challenging. Watch this Video Presentation featuring The Franklin Automobile Museum, a fine classic car collection including representative examples of all Franklin automobiles. The H. H. Franklin Foundation is an educational museum of cars and displays. A video overview of one of the most unique resorts in all of Tucson. Dating back to when it was an elite all girl’s school in the early 20th century this resort has been lovingly restored by it’s owners. Monsoon Clouds Over Tucson AZ: Local Photographer, John Edwards. Most of the year, Southern Arizona has low humidity. But during our wet summer months, the giant thunderheads of our Monsoon Season rise over the desert. Few have capture the grandeur of these weather events so beautifully as local photographer, John Edwards. I chose the accompanying music to give viewers the sense of power unleashed by these storms that can drop 2 inches of rain in less than 20 minutes. Following a monsoon burst, our dry rivers rise very quickly and cause streets to flood.